This is BY FAR the best homemade whipped cream I’ve ever tried. It’s so easy to make, and it’s a dream to spread, pipe, and dollop. The best part is that it’s a stabilized whipped cream, which means it won’t deflate like homemade whipped cream normally does! Wanna know what goes well with whipped cream?? Pie! Check out my favorite pie recipes on Facebook. And join my FB group for sneak peeks of photos and recipes! For best results, chill the mixer bowl and whisk attachment in the freezer for about 10 minutes before mixing. Depending on how you want to use the whipped cream, you can increase the amount of pudding mix accordingly. For example, you might like a thicker whipped cream that resembles frosting if you wanted to frost a cake or pipe onto cupcakes. 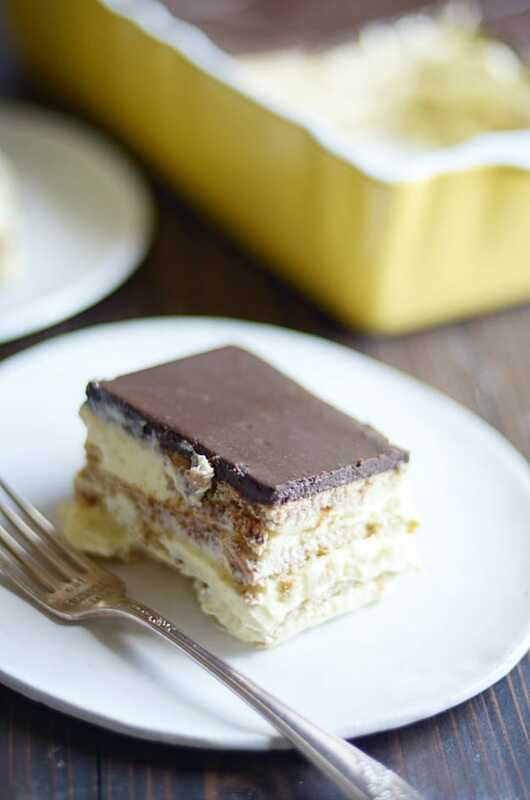 I really prefer the whipped cream with the measurements I’m providing in the recipe below; but if you want to thicken the whipped cream, begin by adding 1/2 tablespoon at a time to gradually increase the thickness. 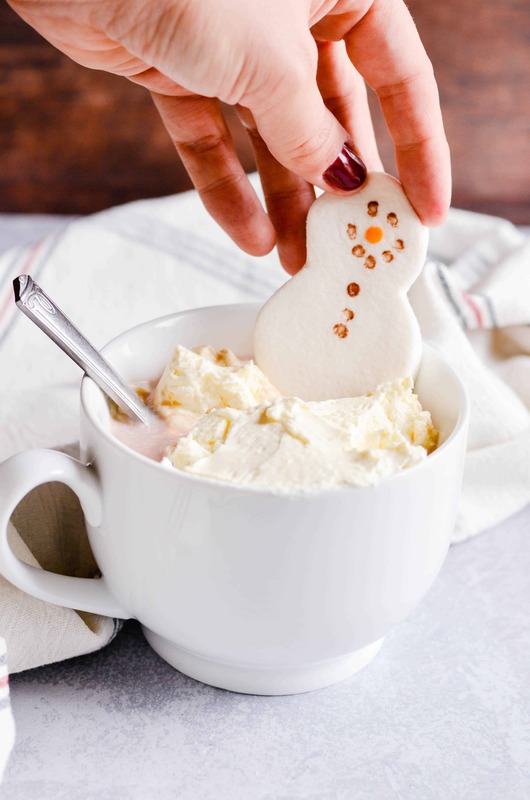 This whipped cream is easy to store in the refrigerator, just like you would store a tub of whipped topping from the grocery store. It’s completely stable and won’t deflate! 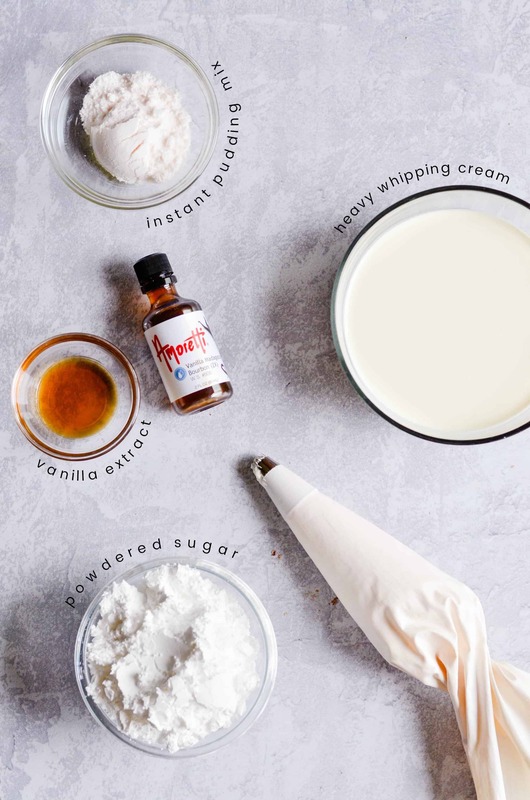 Use different flavors of pudding mix to create a variety of flavored whipped creams! Bourbon-Madagascar is the most prized of the vanilla beans grown throughout the world because of their superior flavor, due to high vanillin content. 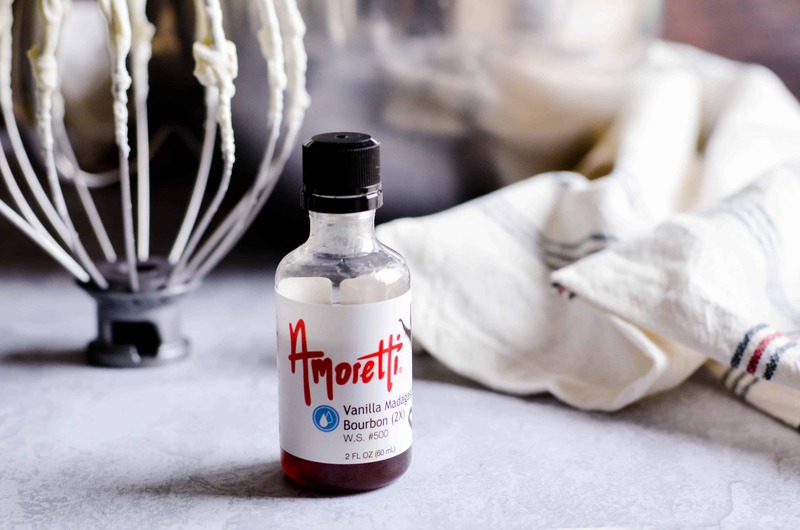 Do not confuse amoretti Madagascar Bourbon Vanilla (2 fold) with the vanilla extract you buy in the supermarket, restaurant supply, or your favorite specialty kitchen store. Amoretti Madagascar Bourbon Vanilla (2 fold) contains no alcohol, no artificial ingredients, is shelf stable, and is stronger and more flavorful than any other product of its kind currently available. Amoretti has been manufacturing delicious flavors & ingredients for the food and beverage industries for 30+ years. Be sure to check out their full line of products here! Watch How Easy it is to Make The Best Homemade Whipped Cream! 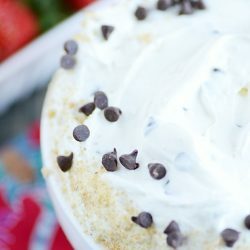 This is BY FAR the best homemade whipped cream I've ever tried. It's so easy to make, and it's a dream to spread, pipe, and dollop. The best part is that it's a stabilized whipped cream, which means it won't deflate like homemade whipped cream normally does! Chill the bowl and whisk attachment of a stand mixer in the freezer for 10 minutes (I strongly suggest using a stand mixer rather than a hand mixer. 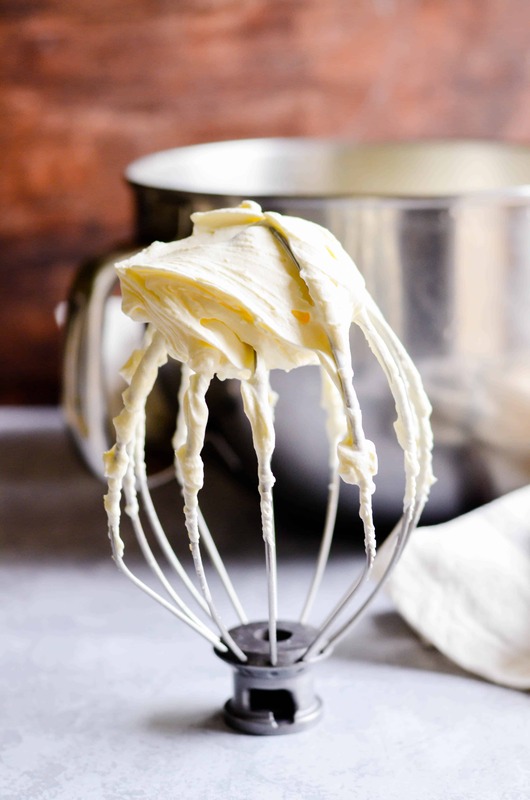 If you DO use a hand mixer, be sure to use a large, deep bowl). Pour all of the ingredients into the bowl and whisk on high for 5 minutes or until stiff peaks form. Spread, pipe, or dollop! Keep stored in a covered container in the refrigerator. 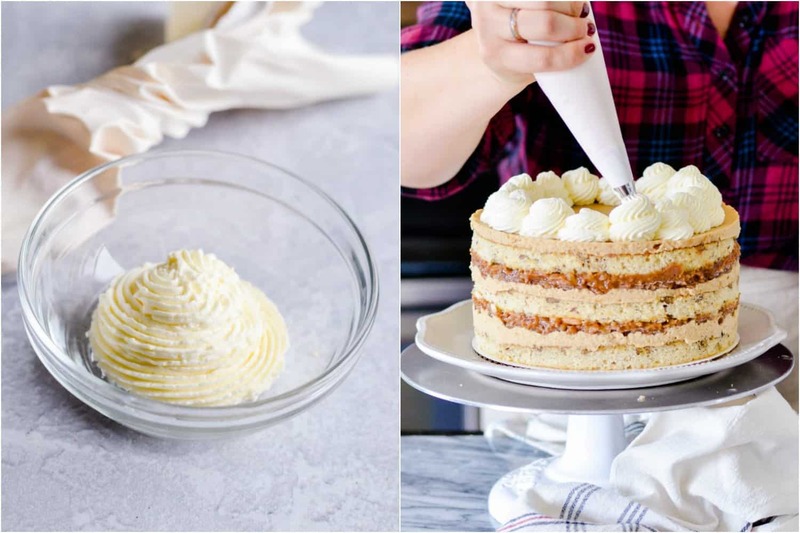 Try using this homemade whipped cream with these desserts! And this is why you are a such a good food blogger :) I don’t know that I would have had the patience for this task! Excellent stabilized whipped cream recipe, Ashton! Glad you tested in recipes calling for Cool Whip with success. However, in your Notes above the recipe, you mention cornstarch. Is cornstarch missing from the recipe? I don’t see it in the ingredients list or in the instructions. Or, did you mean cream of tartar when you mentioned cornstarch? Thanks for sharing! Darn!! Meant to fix that before I posted, and just totally spaced it! Will do now :) Thanks! Your cousin in Grenada is grateful for the post! I may have missed this in the post but how much does it yield? The same as a full container of Cool Whip? Wow – this is pretty great – thanks! You are a HERO! I’m allergic to coconut so I can’t eat cool whip. There are so many different recipes I haven’t been able to try because I didn’t have a substitute. Now I do – thanks! I have used stabilized whipped cream many times before but never thought of tweeking it for a cool whip substitute, u are amazing!!! I’m in S. Korea and sometimes, especially close to a major holiday, there is a shortage of commonly used goods. I’m definitely saving and printing this one! Thanks a bunch! My mind is blown. I am seriously itching to make this RIGHT NOW! Heck yeah! I just saw a recipe for stabilized whipped cream that I’ve been dying to try. I turned into a whipped cream snob after I started blogging and now I don’t use Cool Whip very often. But there have been a couple recipes that REALLY didn’t work with whipped cream, like mousse. Now I know what to do! (Or just go buy Cool Whip) ;) Thanks for testing this out for us! Yay, Yay, Yay. You sweet Asthon are the best! Great idea and post. I likewise avoid as many processed foods as possible, but I certainly would never complain to the blogger for using them. I just skip those recipes for us, or pass them on to my daughters who need quick and convenient everything. Thanks! I hear angels singing! This is the best thing I’ve read all day… thank you!! Am I safe in assuming this can be frozen, so I can have it on hand “just like Cool-Whip”? I haven’t tested that! Let me know if you try it! This is so cool! I wish I knew how to make it so it is French Vanilla “Cool Whip”! I love that stuff and the stores around me never have it. It is aggravating! You are a genius! Thanks for sharing. By the way, what font are you using on your pictures now? You’re a freaking genius. LOVE. I’m kinda one of those people that’s all eww gross Cool Whip so I love this! Genius recipe! THANK YOU! I used to use Cool Whip all.the.time! Until I found out what was in it. Eww!!! So, Thank you for sharing this recipe! Excited to try it out! I love making Pretzel Jello Salad, but my boyfriend hates processed foods like Cool Whip, so maybe he’ll eat it if I use this instead! Thanks for the recipe! Does it make a difference whether you use granulated sugar or powdered sugar? I’m one of those people who don’t eat Cool Whip because of the scary ingredients and the all-natural version doesn’t work well in recipes. Thanks so much for this! This recipe is so cool. Need to ask, have you ever tried it using milk? My husband has problems with lactose. and has to use lactose free milk. I’m trying a way to get around the cream so he can enjoy whipped topping on pumpkin pie. II hope this comes through clearly because the text is not clear for me. OMG!!!!!! COOL WHIP!!!!!! I can’t believe it!!!!! I haven’t had cool whip since I was a little girl. You can’t buy it here in the UK woe is me :’-( I was born in the states, in Maine, but lived here in UK since I was three. my father is from London and my mother is also from Maine and was in the US Navy and stationed in London so I only got to have cool whip at thanksgiving and Christmas with pumpkin pie when she would shop at the base and stock up on US goods. Once she left the Navy we also had to say goodbye to all the American goodies including peanut butter and chocolate! Which people over here are only just discovering! Also peanut butter and jelly/jam is viewed with suspicion which I found to be second nature to put together! So sorry for going on but thank you so much for this recipe, finally another goodie I can make at home and can no longer be a distant memory. Ashton – you are truly amazing! Absolutely genius Ashton! I will definitely be trying it! I love this!!! If anyone asks about a gelatin substitute (you may get this question down the road, hopefully not), you can use Agar flakes. It’s a seaweed derivative. I used it in making homemade American cheese and it worked pretty well. Very cool! Thanks for figuring this out. While this works, it is unnecessarily difficult. You can use 1/2 to 3/4 teaspoon of cornstarch for each cup of heavy cream. Add it with the sugar and it will stabilize the cream quite easily and nicely. You can buy packages of Oetker’s stabilizer for whipped cream (Or maybe Dr. Oetkers I forget what the package said as it has been a few decades since I bought it.) and it is cornstarch and an anticaking agent. I have used this for every recipe that calls for cool whip for over twenty years and never once did it fail me. Awesome tip! I’ll have to try that! This makes me a happy girl :) been wanting a good substitute for a while. Thank you! I love your recipes! My hubby gets so happy when I make your brownies. this sounds interesting but I have a question. You say that you cannot usually substitute whipped cream for cool whip. Why would that be? I’ve never had problems with the substitution, but maybe I haven’t been making the kind of dishes that are a problem. Also, do you know what the cream of tartar does for the mixture? I’ve used it to sour milk as a buttermilk substitute. Does this need the acidity, also? 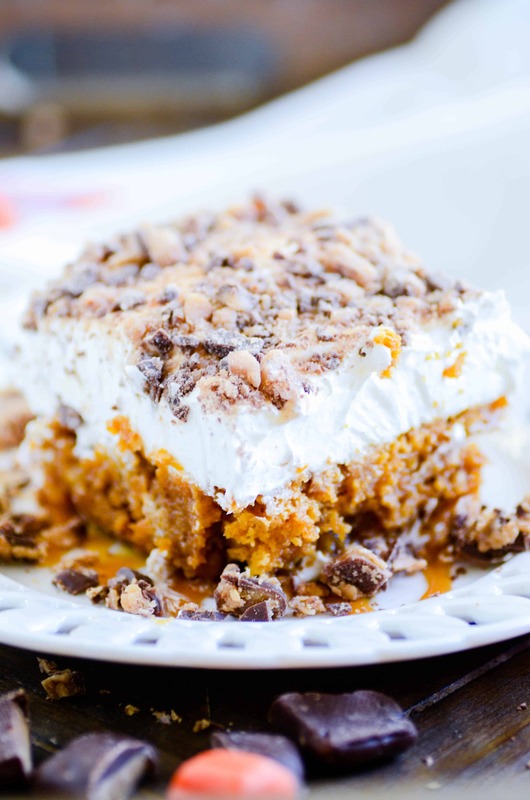 In many of my recipes that use cool whip, it is an integral part of the recipe– not just a topping. 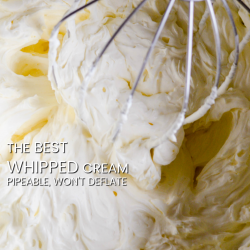 So whipped cream tends to deflate in those, which is why you need a stable whipped cream. Can you use this in a recipe that calls for you to fold cool whip into cream cheese? I make a pudding dessert that has a shortbread style crust, a cream cheese/cool whip layer, a pudding layer, and then cool whip on top. I haven’t made it for a while because of the guilt I feel when using cool whip. What a life saviour! How much does this make though? This is great! I have found so many nice recipes which includes Cool Whip and I can’t get here in Finland. Now I can start baking! Awesome! Thanks a tons for this recipe! Just wondering if this would hold up for piping on top of a pie or cake and also as a spread between layers of a cake….thank you so much! I used to make a frozen peanut butter pie using cool whip. Can your version be frozen please? Wonder if it works with half and half cream-to save a few calories? Thanks so much for this! Where I live we don’t have Cool Whip either so I’ll have to give this a try! Thanks!! Thanks a million, if you were here i would hug and kiss you !!! Hate to be a p.i.a. but would cornstarch sub for the cream of tartar? In Spain that is something that I can’t get. Dying to try it!!! Just made this, It tastes delicious, but why do I have chunks of gelatin? Did the gelatin dissolve completely on the stove top? It seemed like it dissolved before the heat. By the time it cooled all the way it was jello! I guess I don’t quite understand the heating and cooling process. Not from me– Cool whip in any form doesn’t last long here. But maybe from another reader? Thanks Ashton. 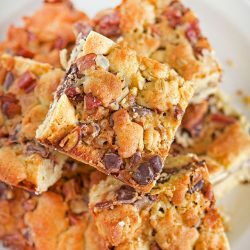 Does this recipe make an amount equivalent to a tub of Cool Whip (which I think is about 3 cups or 8 oz)? Hi, Ashton: I knew it would come to making my own ‘cool whip’ because for some reason the ingredient(s) in it make me ill. And that indeed kept me out of a lot of dessert games. I never thought of your solution and so appreciate it. 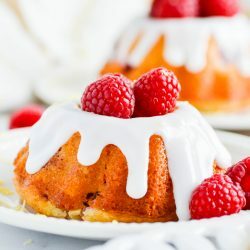 (I personally love real whipped cream tho) The cautionary note about the gelatin is so valid – just made sort of a mess doing that wrong with another dessert this week. I hope that you enjoy a Merry Christmas and it is a gift to have you on our side! 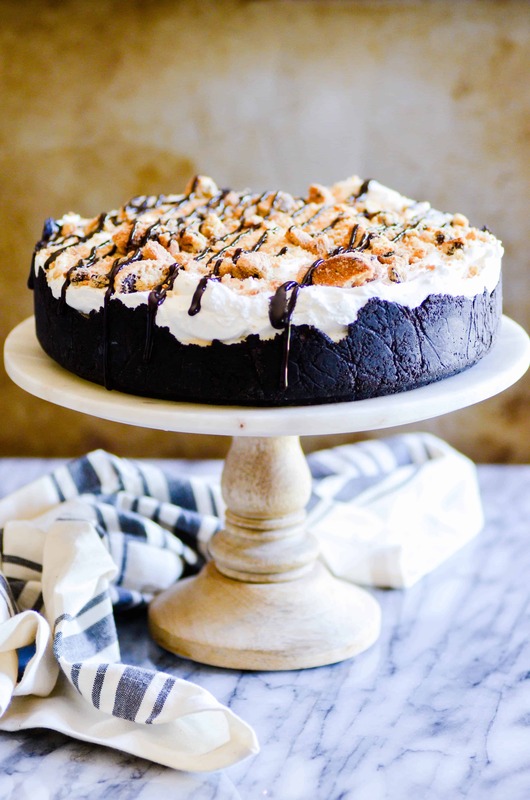 If I were to try and make this chocolate cool whip, when should I add chocolate sauce or what would I add to chocolafy it? I’m trying this. I love Cool Whip but the ingredients are pretty bad. Have you determined the shelf life in the refrigerator and whether or not you can freeze it? Don’t you now get the question what cream of tartar is? I don’t know this.